To keep drains clean, and prevent clogs, pour two cups of white vinegar down each sink and tub drain to break down any buildup in the pipes. If the drain is slow, pour a half cup of baking soda down the drain before the vinegar. Finish with boiling water to push everything through and make your drains smell fresh. 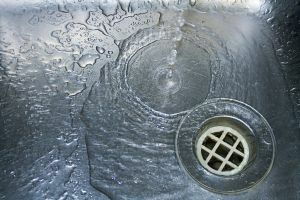 More on Drains-What Are the Possible Causes of a Slow Drain?